"Brain Drain" from UK Game Developers cited as key trend affecting games industry. “Brain Drain” from UK Game Developers cited as key trend affecting games industry. In a report by Game Investor Consulting published by NESTA in August 2009, the brain drain to other territories was cited as the second most important key trend by 9 out of 14 of the UK’s largest developers, behind government subsidies being offered by overseas territories. 7 ex 14 studios cite the continuing brain drain to subsidised overseas territories as the most significant projection over the next 5 years. “Our results show that the loss of key experienced staff to subsidised territories such as Canada is a crucial concern for UK developers. 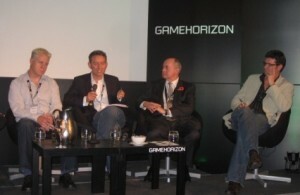 Those studios that have survived and stayed in the UK have been losing some of their best personnel to competitors overseas who are able to offer incentive packages they simply cannot or will not match.” Gareth Edmundson of Ubisoft is quoted as a representative opinion: “The UK will remain a strong games development territory but will not be as strong as it could be and will suffer from a continuation of the same trends as experienced in the last 5 years, namely the brain drain to Canada, the USA, France, Singapore etc., the closure of UK independent studios as well as publisher owned studios, and the steady decline in the volume of games made in the UK.” Recruiterblog comments that it can be a mistake to call the relatively free movement of labour enjoyed by the games industry a “brain drain”. The UK drains brains from many other countries. Indeed Canadians, Americans, French etc are quite common in most larger developers. Most important is that UK game developers compete for talent in the global economy. Those that work with successful recruiters like Interactive Selection can do this well. Some, who cut themselves off from the market, do this less well.